3 metres high. 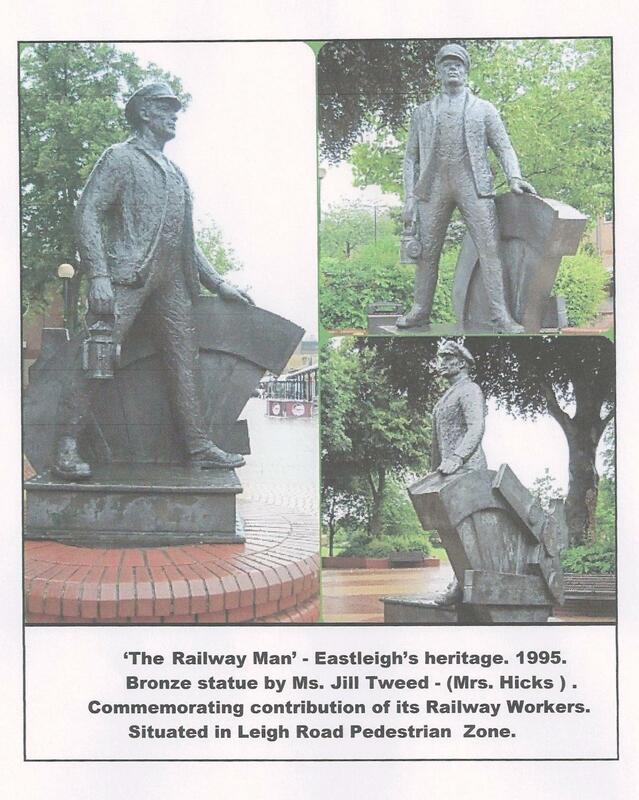 This bronze feature is a tribute to Eastleigh’s past workers in the Rail industry. Southampton has no such feature , although, such a feature to commemorate the hundreds of people whose lives were lost during the WW2-German Blitz would be a worthwhile feature. Only two stone plinths exist west of the Cenotaph with indistinct lettering & lack of care.